Each of us has a personal story; a narrative that we tell ourselves about who we are. But too often those stories limit our possibilities and achievements. 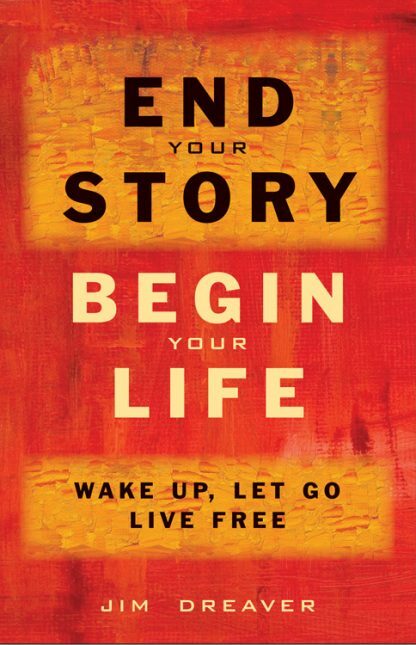 In End Your Story, Begin Your Life, Jim Dreaver offers a profound message: we can overcome obstacles, develop our creative power, and discover our true nature by letting go of the personal stories that define us. Dreaver lays out a straightforward practice that will help readers learn to see and experience life in the present moment, free of any negative thoughts, concepts, beliefs, or stories. He walks readers through his simple, easy-to-use, three-step practice for transformation: be present with your experience; notice your story; see the truth. Dreaver shares his own spiritual journey to seek enlightenment and inner freedom, and reveals how he discovered this effective practice. He interweaves stories about people he has worked with using this process, both privately and in workshops, and the successful transformations they have made to happier, more fulfilling lives.